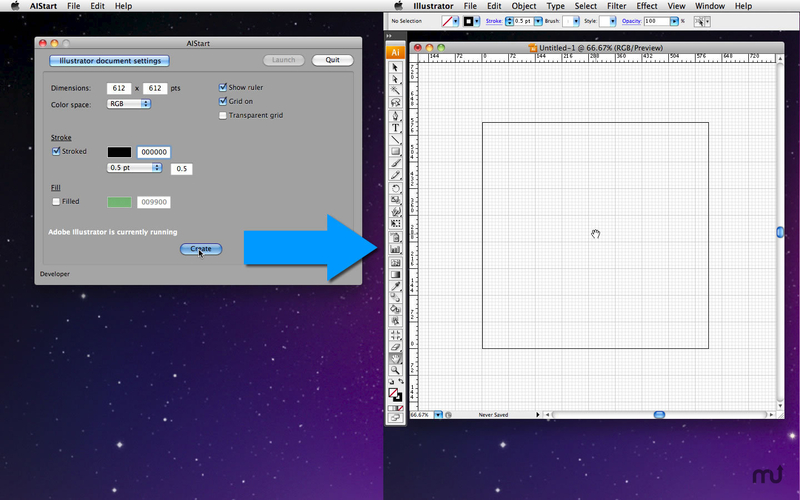 Save your Illustrator settings and get started quickly next time. Is there a better alternative to AIStart? Is AIStart really the best app in Control Strips category? Will AIStart work good on macOS 10.13.4? AIStart is a simple application that will let you create a new Illustrator document with some startup settings. Choose File > Save to save your startup settings so that you can create a new Illustrator document right away when you launch AIStart again. There is no question that Adobe Illustrator is a great product. We use it every time we design an application icon before a new software release. It's just that I hate it to enable the ruler and the grids every time I open a new document. Note that AIStart has been tested with Adobe Illustrator CS3 only. There is no guarantee it will run properly with other versions. Version 1.0.0b: Release notes were unavailable when this listing was updated. AIStart needs a review. Be the first to review this app and get the discussion started! AIStart needs a rating. Be the first to rate this app and get the discussion started!